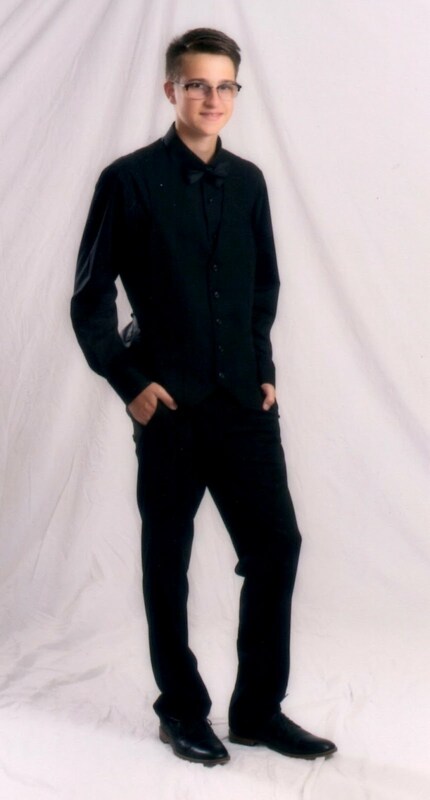 Hello, happy Sunday! Hope your doing something you like today. Turned a little cooler here today, but for November, it's great, almost to Thanksgiving and no snow yet! Today's card is for the Penny Black Challenge. The challenge was Christmas for the guys. 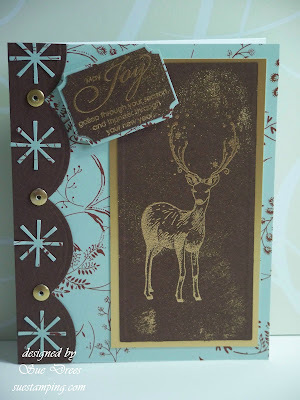 The beautiful deer and the sentiment are Penny Black, of course, stamped in Ranger's Queen's Gold. I got the gold speckles around the words and deer by sprinkling the embossing power lightly and then heating from the underside. Card is made from papers by S.E.I., Winter's Song line. Very pretty! I left you something on my blog...just to let you know how much I love your work! Don't feel obligated to play along if it is not your thing though! Sue I finally got to sit down and check out all the cards you have been creating! wow you have been so busy and your work is gorgeous! I love the Magnolia fold out card! Beautiful work as always! Beautiful card Sue, very elegant and understated. Subtle too, I haven't quite reached that level yet!! Off to have a look around.